This record setting $580,000 bull brings a complete outside the box pedigree to the table. 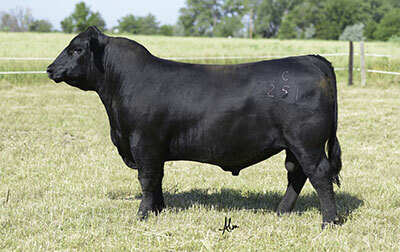 His Dam will go down in history as one of the top producing angus females , Baldridge Isabel Y69. Loads of Muscle packed on a correct and sound structure.